I am a graduate of the International Glass Centre and am passionate about glass. When in its molten state I can blow, stretch, bend and form it in many ways. After annealing the finished object has such distinctive and unique properties that I cannot obtain using any other material. 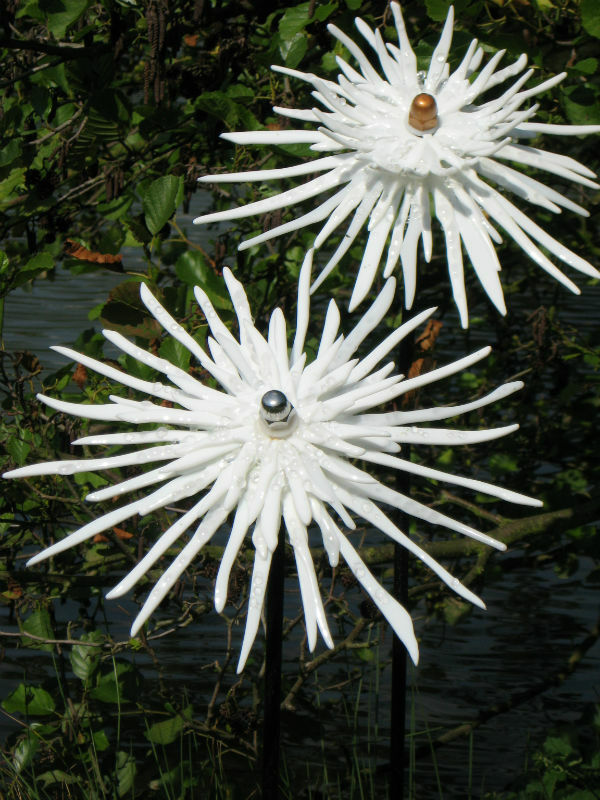 The flowers here are kiln formed and inspired by ‘Queen of the Night’, an orchid cactus that flowers only when dark and is said to have strong healing properties for women. The hand-blown cocoons use a technique called satin air trap. Air is trapped inside the glass in effect trapping a moment in time.